The New York City DEP is currently employing many different initiatives and programs that are designed to conserve water in New York State and especially New York City. These programs are helping NYC reach its goal of reducing daily water usage by 50 million gallons a day. The goal will be met by 2030, but as of 2015, NYC has reduced water usage by 30 million. The municipal water efficiency program is a partnership with the parks department. They are collaborating to install shower sprays in playgrounds that will save over a million gallons of water. They are also updating bathroom fixtures in public schools throughout the five boroughs. These fixes are projected to save 4 million gallons of water on an average day. Another DEP initiative is the residential water efficiency program. This program is designed to encourage water conservation in private, residential properties. This program gives out vouchers to replace 150,000 outdated bathroom fixtures (this includes low flush toilets and low pressure sinks). 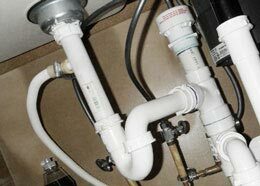 With the help of a plumber in NYC, these updates can be easily made. It is important to conserve the most important resource on this planet. The problem starts with us, but it is important for cities and states to take major action to save water.